This morning, we will drive toward Anlong Veng, it's known as Khmer Rouge Cultural Site, the last stronghold of Khmer Rouge leaders. 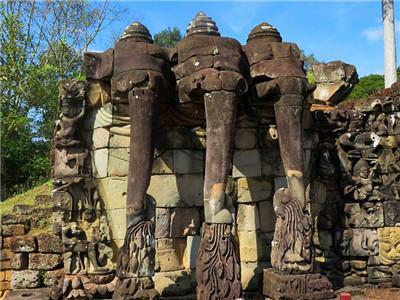 We will visit the house that once was owned by former Khmer Rouge Commander Ta Mok (1979 â€" 1997) some remaining statues describe the way the rebels lived and how they arranged their troops during their bloody struggle again the government. We will take a half an hour to walk to a pile of tires which is believed to be the funeral pyre and burial site of Pol Pot, the leader of the Khmer Rouge. 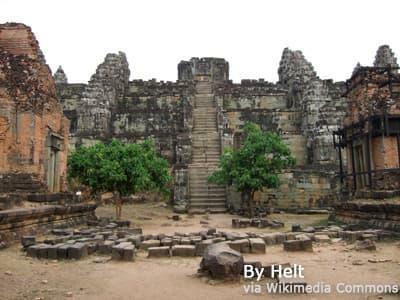 Then we continue to Preah Vihear by new branch road. 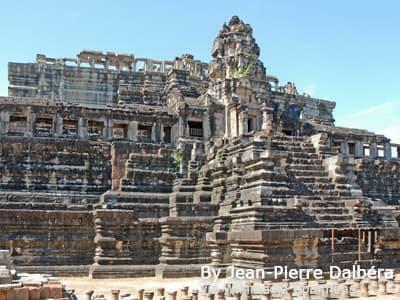 If time permits, we will drive up Preah Viear Mountain to observe the sunset over the ancient land of Khmer empire.After the visit,check in to your hotel in Preah Vihear. Early morning we wake up early for sunrise, and then we continue to Kompong Thom. 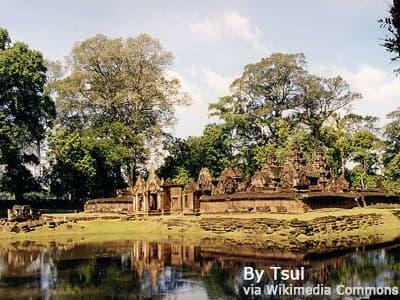 Then you will go to the archeological sight of Sambor Prei Kuk, which is dotted with hundred Pre-Angkor styled temples. 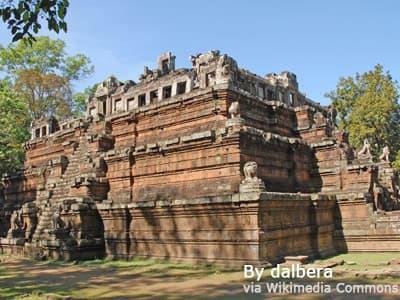 The site, part of the Chenla Kingdom, includes an area of nearly 1000 acres enclosed by double walls, and hundreds temples and towers; its construction predates Angkor Wat by several centuries. 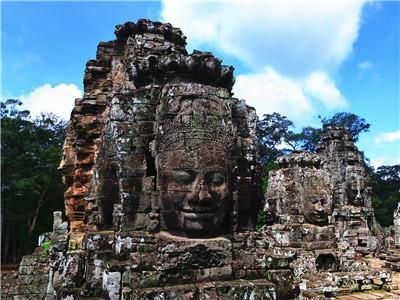 The road conditions are very poor, but the spectacular scenery, with a mixture of temples and forest makes the hardship all worthwhile for your real experience Cambodia tour.In the afternoon, we will drive through the humble villages to Siem Reap. 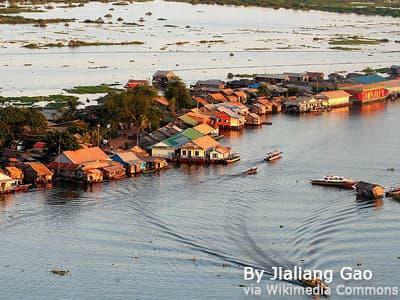 Today you will visit Tonle Sap, the largest fresh-water lake in South East Asia. 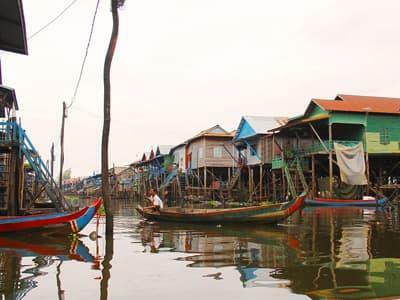 You will take a boat cruise on the Tonle Sap, to see and learn how Cambodians built a life around the Eco system of the lake with fish and crocodile farming, floating markets, schools and restaurants. Even floating hospitals. Time permitting; we visit the Cecko Research system to learn more of the Eco system around the lake. Lunch at local Restaurant , back to hotel. 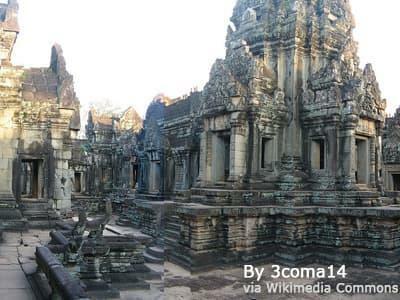 After breakfast and check out from hotel, your private driver will wait for you and take you to Siem Reap international airport for your international flight home or to your next destination. 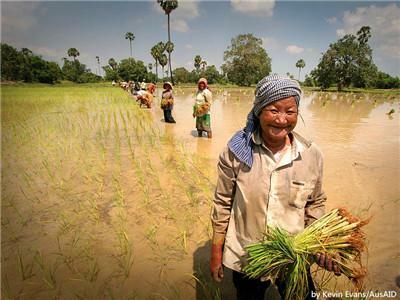 This is my second Cambodia tour and won't be my last! Holly was amazing, not only an incredibly knowledgeable tour guide but a fun loving crazy friend! 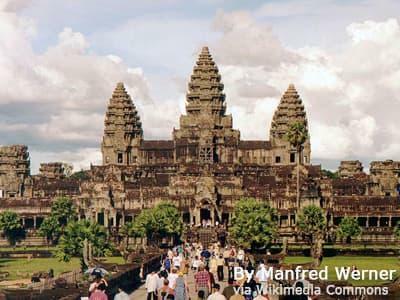 Always smiling and full of energy, perfect person to show me beautiful and historical Cambodia. An experience I'll never forget! This was my second ume tour and it didn't disappoint! Kyle and Holly were the tour leaders and made the trip so much fun, as soon as you met them they made you feel excited to be part of the tour. Every place we visited was amazing and there was a great mix of culture, learning about the history of Cambodia and partying. The atmosphere everywhere was awesome from the Sihanoukville boat party, Love Club in Phnom Penh and Pub Street in Siem Reap!! I loved the Cambodia tour thanks to Holly and Kyle and I now love Cambodia! so just finished our 12 day umetravel and what a great experience of a country I had so little knowledge on. The great thing about this tour is you don't feel like your constantly on the move because it's so chilled and laid back. Our tour guides luke and holly were brilliant, accommodation was great and the tour is such a good value for money, I would definatly recommend to anyone and I also gained a really cool new SnapBack from them! Thanks guys! AAAAYYYYY if I could give these legends 11 out of ten I would! I'd never even planned to do a tour but I met a bunch of the group leaders in a hostel and was SO charmed by them I couldn't say no. I don't regret that decision for a second!!! Thank you,UME TRAVEL, for giving me the opportunity to see Cambodia in such a unique way and enjoy experiences only afforded to us by virtue of having the most excellent dude, Luke, leading us (astray). We also had the pleasure of meeting the gorgeous and talented Holly and Ewan. All three went above and beyond to ensure we had the sickest time EVEERRRRR - and we did. Thanks legends! Had an amazing 12 days! Luke was the best tour guide you could ask for with all of his knowledge stories and charisma. We had a smaller group so it was nice to get to know everyone on a more personal level by the end of the 12 days we were like a little family. Another team leader Ewan was on the first week of the tour and he was great fun to have around also! 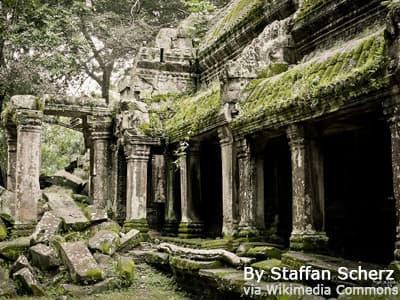 We packed so much into 12 days travelling the best places Cambodia had to offer. The tour offers a perfect mix of beach/partying/relaxing and culture. I would 100% recommend ume Travels and this tour. I will most definitely be signing up for another tour in the future. Well, where do I start? Firstly I have been in the travel industry for over 20 years. In that time I have travelled a fair bit both independently and on tours. Hands down ume travel has been the best organised tour i have ever experienced. Luke our fun manager was just superb, he makes a difficult job look easy, nothing ever too much trouble and always knowledgable and his story telling skills are 2nd to none. 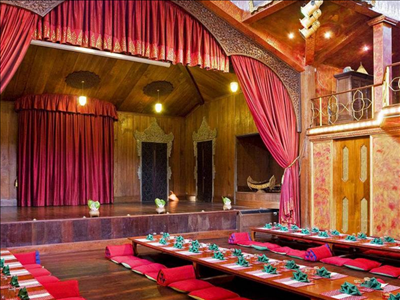 The tour itself is fantastic value for money and the accomodation is of a good standard. As for my group, what can i say? We had a total blast and have 18 new friends. 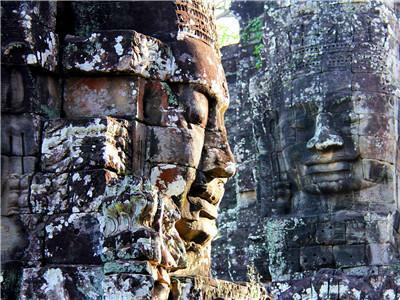 I will never forget my time in Cambodia and for that I have to say thanks to all the ume travel family. 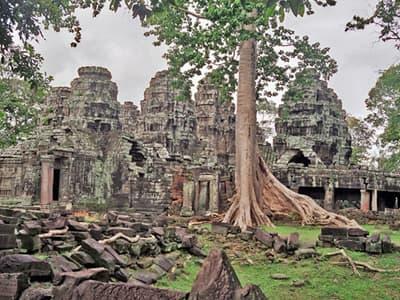 just completed the 12 day- UME trip in Cambodia and can't speak more highly of it! Awesome guides luke and Kyle made everyone feel welcome and we're always making sure everyone is having a good time, plus some of the funniest people you will ever meet. Accommodation was incredible at every stop with comfy rooms, big pools and amazing food at the hostels! To start my trip in Asia I couldn't have asked for a better tour to jump on with a great balance of seeing Heaps of Cambodia but still getting to relax and do what you wanted ! Absolute legends ume travel! The tour was fantastic and definitely one of the highlights of my whole trip! 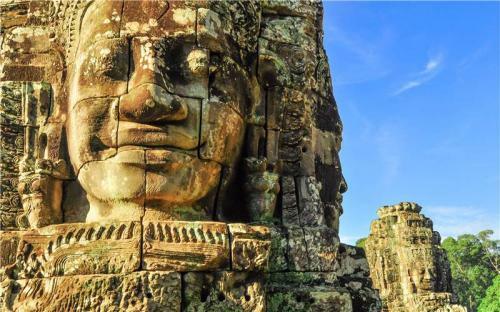 I'd been travelling without a tour through SE Asia before I got to Cambodia and it was so nice to have everything organised, it really allows you to enjoy yourself more! The hostels we stayed at were great and the tour itinery kept everything exciting. Amy was absolutely brilliant, she was very organised, down to earth and you could tell that she genuinely cared about how everyone's tour was going. Would definitely recommend. Overall experience was amazing! 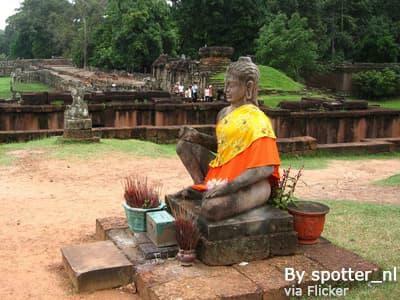 Best Cambodia private tour! Our guide in Phnom Penh, Jack, was energetic, knowledgeable, polite, and attentive.